Three ducks feeding in the South Fork Kings River in Kings Canyon National Park. 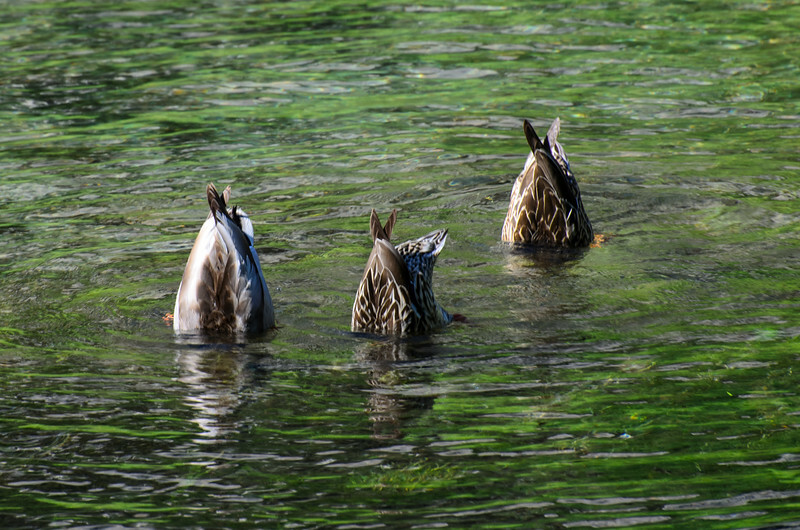 I saw them paddling around and waited a few minutes until they went bottoms up at the same time. Here's my SmugMug site, where everything I shoot is for sale. And for cheap! Me on Twitter.